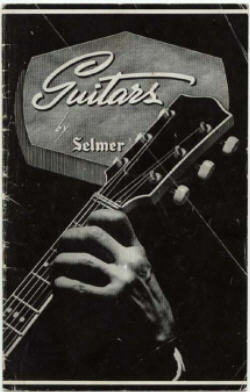 The first two pages of the Selmer Guitar Catalogue for 1961-62. 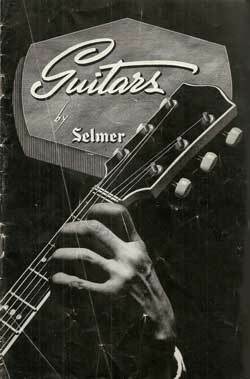 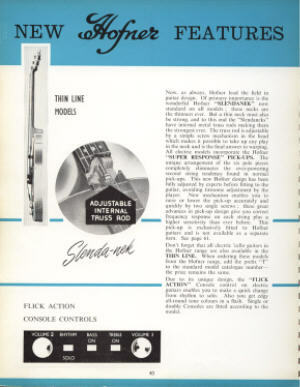 The publication of the Selmer Guitar Catalogue each year, generally in September/October to coincide with the British Musical Instrument Trade Fair held in October, was an eagerly awaited occasion for the UK's guitar players (actual and intending). 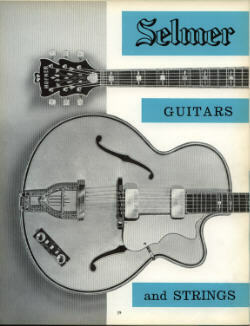 It was in that catalogue that Selmer described and illustrated the new models for the coming year which, in Hofner's case, were to be shown at the Trade Fair. 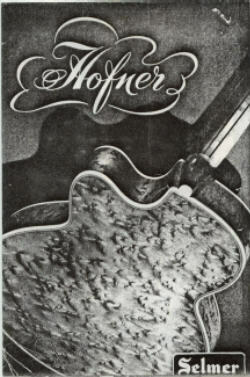 Early catalogues contained mainly Hofner guitars, with one or two Futuramas and Selmer's other own-brand imported guitars. 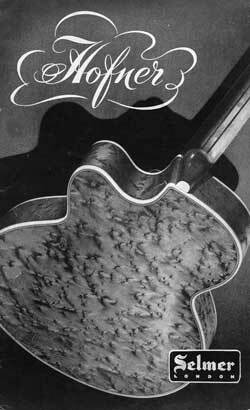 In 1963, these were joined by Hagstrom and classical guitar makes such as Espana and Serlan. 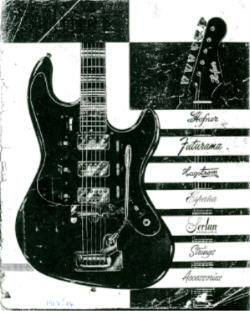 Immediately after Selmer acquired the US franchises around 1962, Fender and Gibson instruments were given their own separate catalogue. 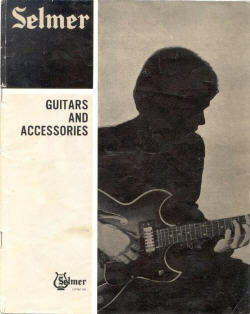 However by 1965, Gibson guitars were heavily featured in the same catalogues with Hofner. 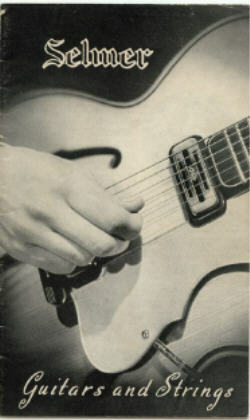 The Selmer Catalogues are a rich source of information on the UK Market Hofner models, as they are full of detail regarding the various models. 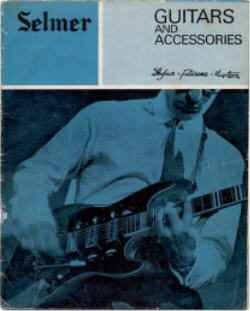 During the late 1950's and 1960's, many changes were made to the Hofner UK range, and these can be followed within the pages of the catalogues, as can the effect of UK monetary inflation! 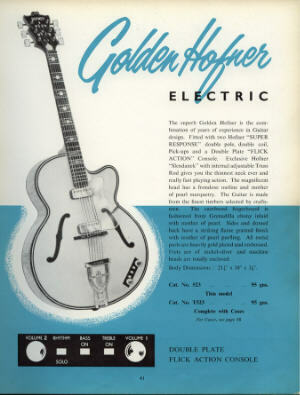 In 1957, an electric Senator sold for 30gns. 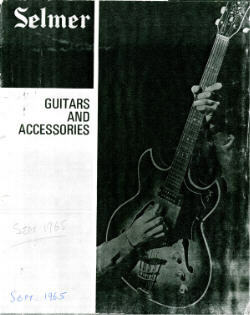 In 1968, the same guitar but with a cutaway was priced at 49gns. 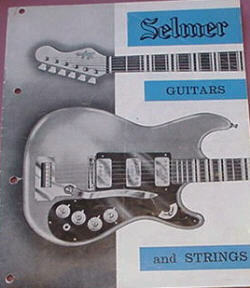 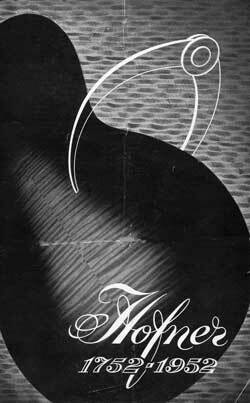 Thanks are due to Colin Scott, New York, USA for supplying scans of the earlier Selmer catalogues.